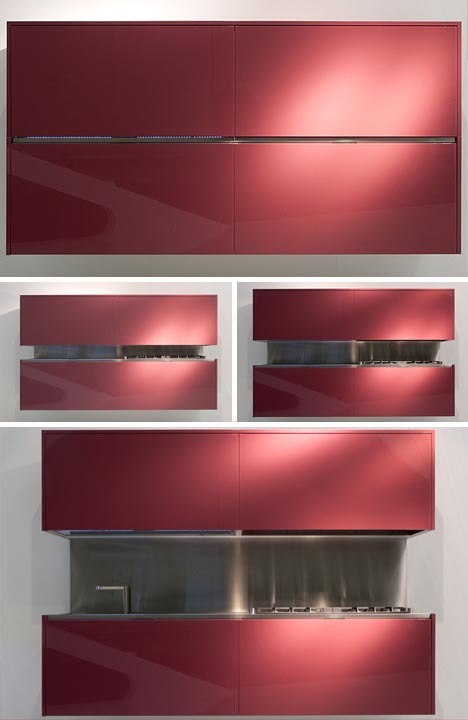 There when you want it, gone when you don’t – that is the essence of this elegant two-part ‘Moove’ series of modular built-in kitchen designs. 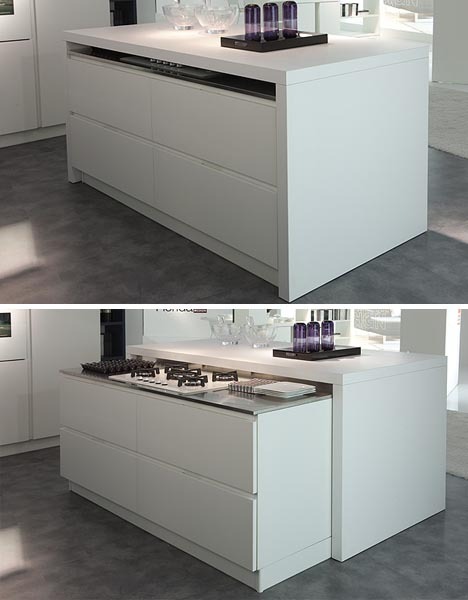 The pair of wall-mounted and center-island solutions are different in appearance (and disappearance), but the streamlined sliding-and-hiding approach is the same. 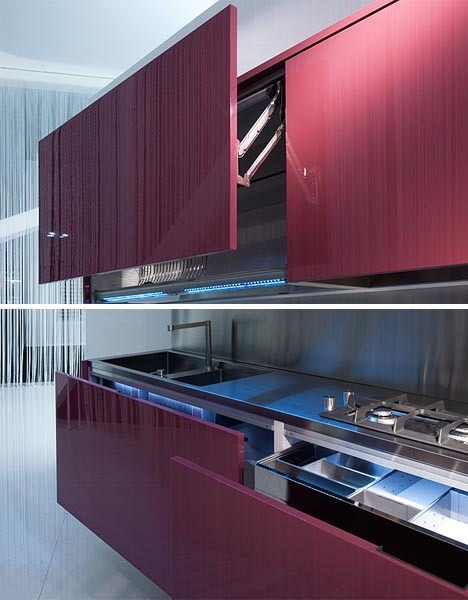 In one, the top moves down while the bottom slides up to meet it, hiding the entire set of cabinetry, cooking surfaces and appliances inside a glossy box. 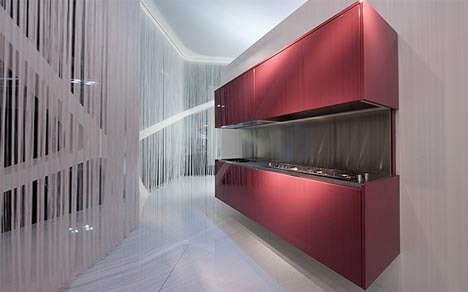 A combination of fold-hinged cabinets above and flush-to-surface sliding drawers below conceal additional storage spaces. In the other, an internal rectangles slides sideways out from a stable island work surface, revealing a stove and sink within. While perhaps the less visually impressive of the two, this strategy is arguably more successful at actually saving space (since the closed configuration effectively cuts in half the physical footprint required for these core kitchen elements. The effect of accomplished by Florida Furniture is deceptively simple – the real trickery goes on behind the scenes, from the stove connections to the sink plumbing. These are designed adapt to shifts in corresponding appliance positions.